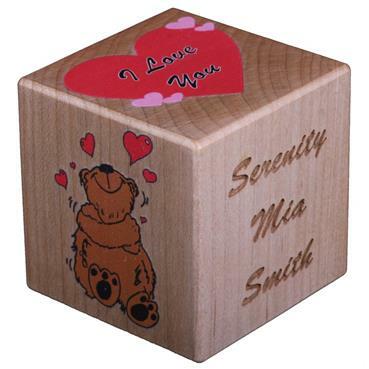 This gift is personalized with the name of your Valentine. It also displays the year under the heart balloons. 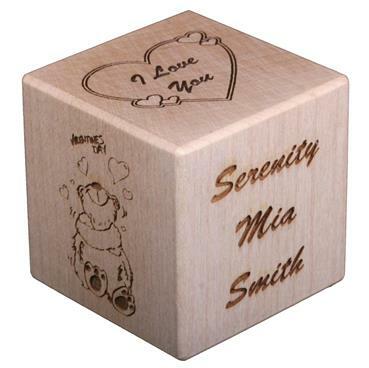 All Natural Maple Block - 2 inch square cube. 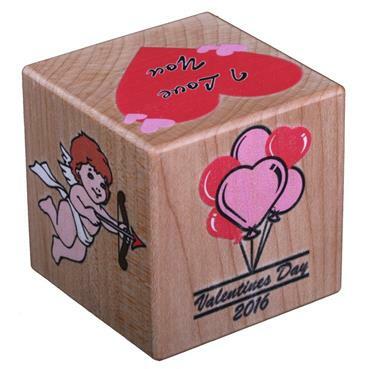 Order with all laser engraving or a hybrid with color artwork. 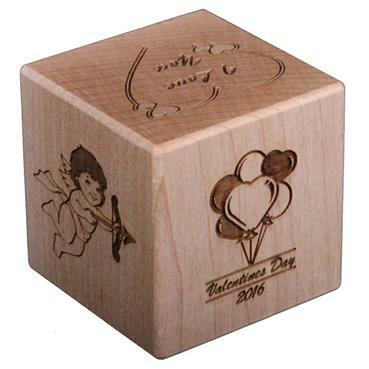 Handcrafted by "Cupid's Helpers" residing in Mooresville, IN USA.